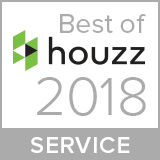 We’ve been a big fan of Houzz website since it’s launch and lighting design studio have been featured in many of their articles & newsletters. The website enables users and designers to collaborate on projects and create online scrap-books. It’s a great resource for our clients to find inspiration and read some reviews of previous customers.